(Nearly) Wordless Wednesday: She’s Here!! There are so many words I can’t wait to share but for now just the most important ones. HAPPY BIRTH DAY ISORA ROSE!! She was born on St. Patrick’s Day, which happens to be my beloved Grandma Rose’s birthday, at 11:55am. She was a 8 lbs. 9 oz. and 21 inches long. 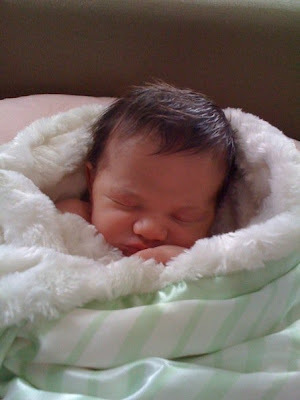 We had a really amazing birth experience at The Greenhouse Birth Center. And when I say amazing, I mean laughing hysterically and smiling with my husband and doula and then pushing out a baby ten minutes later in a luxurious bath tub. Seeing this face for the first time is one of the most powerful and beautiful moments of my life. She is calm, deliciously chubby, funny and oh so snuggly. Her big sister loves her very much and calls her Baby Sister. Or Zorie. This picture was taken when we came home with Zorie 6 hours after her birth, the first time Cedella met her. Instant Love. 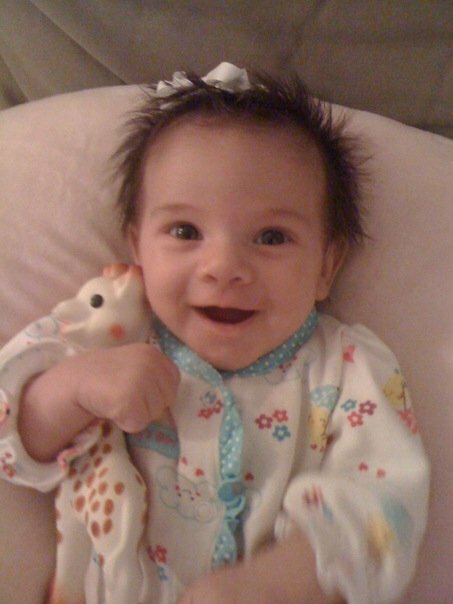 Her Auntie Kylara calls her Squishy. I can’t decide whether I like Zorie or Izzie better. But she’ll always be my Nugget. And now I know just how possible it is for one’s heart to instantly expand and almost burst with instant love. Because in this moment my heart just about exploded for this little miracle. Hope that your week is as amazing as mine has been! Happy WW!! One year ago today I wrote this and my trip into this crazy world of Social Media began. I can hardly believe it’s been a year since I started writing this blog. Without even realizing it I created a Best-Of B&B back in January called On Being a Parent. It has all my greatest hits and tips, along with some really funny stuff. Don’t feel shy and pass it on to all those new parents you know. This blog is crazy photo-heavy. I know. Maybe even too many. 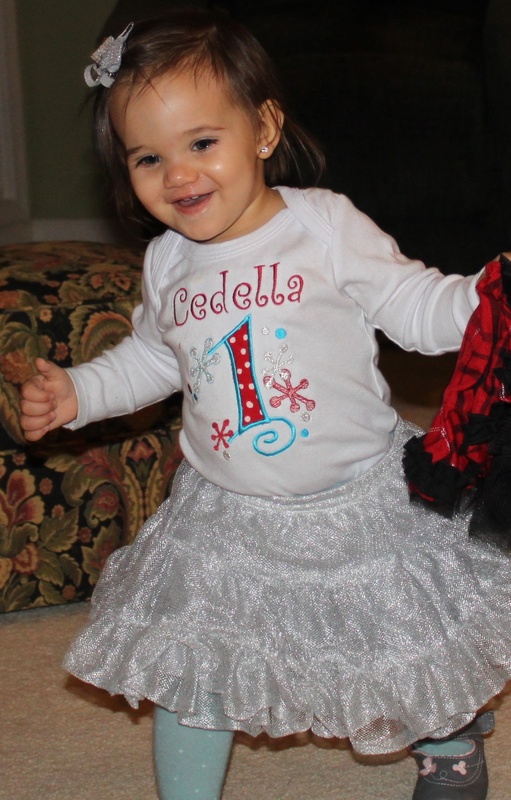 But just like one of those little gel-encased dinosaurs that you soak in water and watch it grow, we have watched Cedella sprout up from a tiny little bread loaf of cuteness to this toddler full of sugar and spice. Wordless Wednesday posts have been pretty constant on B&B so to commemorate one year of blogging here’s bunch of pictures of Cedella from birth to present. Watch her grow! Fresh outta the oven. Her first day home. I would really like to thank all 15 of you who read this on a regular basis for being so loyal. I may not have a 1000 hits a day (or ever) but I feel great to be able to express myself and my parenting journey with all of you. For those that comment regularly, or have sent me beautiful and encouraging emails about my writing, thank you even more. It means so much to me that someone actually gets what I’m doing, and the feedback makes me want to write so much more. For my Mommy Blogging friends, especially Teresha and Diana, we may have met over the internet, and we may not share coffee once a week, but you have both grown very close to my heart. You really have helped me immensely to grow and learn as a Mama and a blogger. I wish I lived closer to both of you so that we could be BFF’s and our daughters could grow up together. How bout you? Do you have a favorite Babies & Bacon post or photo? Please tell me all about it in the lovely comments section, or on the FB page. Love you guys!